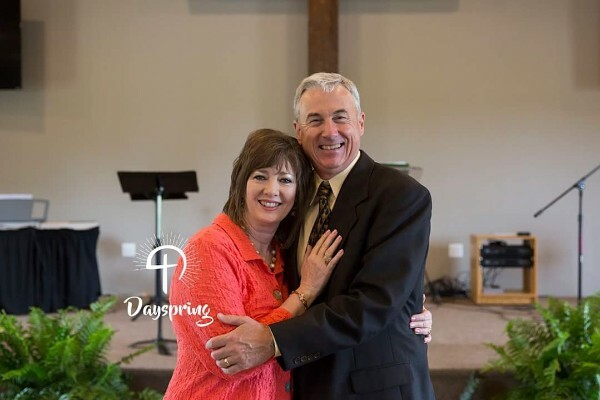 Our pastor, LeRoy Wagner, started having undiagnosed symptoms that began 2 years ago. Within the last month, his symptoms have increased dramatically. While in Canada last week, the numbness and intense pain increased to a point where LeRoy fell in the hotel lobby and could not even walk. By the Lord's divine intervention, he is currently in the hospital in Dallas, Tx with an amazing staff who is trying to diagnose the problem. They have conducted many tests and scans without answer. First and foremost, we ask for your prayers. We recognize that God is our ultimate Healer and we trust Him in this process. We know that He works all things for His glory and our good. So you can specifically be praying for us to glorify God throughout our days as well as a proper diagnosis, if this is the Lord's will for us. Secondly, we ask that you pray about a love offering for LeRoy. If you know LeRoy at all, you know he would never want others to feel obligated to give money. He would want you to prayerfully consider how to use the money God has provided for you in any area. We just want to provide an outlet to donate money, if this has been on your heart to help Kim and LeRoy during this time. If you have sat through LeRoy's teaching in the last two years, you would probably never realize the pain and problems, other than the 30lbs that was shed. But he has continued to be a faithful servant of God and exhibits these characteristics even during this trying time. He wants everyone to know we serve a trustworthy and faithful God. Remember your leaders, those who spoke to you the word of God. Consider the outcome of their way of life, and imitate their faith. Jesus Christ is the same yesterday and today and forever." The old year closed with a huge gift. Huge is not nearly an adequate word. Incredible gift. Since that post, God has answered in big ways! First of all, we applied for the Johnson and Johnson “Patient Assistant Program” to receive financial aid for Remicade (and many of you carried that faithfully to the throne of God as an urgent intercession). Right before Christmas, we got word that we were approved! But that was only one hurdle, we still needed to find an infusion center that would take LeRoy as a patient. As the year closed, our PCP contacted us to let us know that he connected with a doctor and infusion center in a city about an hour away—and he will take LeRoy as a patient. I wept, as our doctor shared his good news. This is one of our biggest requests answered, this is huge. LeRoy has an appointment with that doctor in ten days. We won’t know when the infusions will start until we meet with that doctor, and we don’t know if they’ll be as effective as the doctors say they will, but we’re hopeful. And again, our trust and dependence is not in the medical professionals, but is in our Lord who directs the course of our lives. As we move into 2018, we’re moving in with hope, with a determination to not lose heart, with an awareness that we are completely reliant on God’s mercy and grace to meet each day’s great needs. And we’re moving in with a greater appreciation for you. We want to begin the year by sending each of you an enormous “Thank You!” You’re our army of prayer warriors, our brothers and sisters, comrades in the battle, and our faithful encouragers. We’ve been blown away by your offers of help, your financial gifts, and your steadfast intercession. We can never express how grateful we are for your kindness, encouragement, and continuing intercession. We know you are lifting us to the throne. “So when God desired to show more convincingly to the heirs of the promise the unchangeable character of his purpose, he guaranteed it with an oath, so that by two unchangeable things, in which it is impossible for God to lie, we who have fled for refuge might have strong encouragement to hold fast to the hope set before us. We’re reaching out to you for help this morning. First of all, thank you so much for your love, support, and prayers. We are truly grateful. LeRoy’s most recent MRI showed that there has been virtually no change in the spinal cord lesion, which is why he is still experiencing excruciating pain. We were hopeful, and praying, that the aggressive steroid treatment would affect or eradicate the final spinal cord lesion. The neurology team is telling us that Remicaide infusions would be the best treatment option to deal with this, but it may be difficult for us to get because of our “no insurance” status. They presented a hopeful outcome if LeRoy could receive the infusions, telling us they expect it to bring full recovery, possibly leaving some scar tissue which would probably cause life-long pain, but at a much lower level than he now experiences. Because we don't have insurance (we're members with Samaritan ministries, a Christian co-op for health care), and because the medicine LeRoy needs is so expensive, we’re finding it very difficult to find an infusion center that will take LeRoy and administer the drug. (Remicade, it's given through IV for several hours similar to chemo drip). The cost for treatment will be thousands of dollars per infusion and they are telling us he needs six infusions. UT Southwestern has an excellent infusion center, but has turned us away because of our no insurance status and only offers the “self pay” discount option to Texas residents. Our local PCP is trying hard to find an infusion center in Arkansas that will take him, but Neurosarcoidosis is so rare that it’s difficult to find an infusion center here that has treated that disease and is willing to take him as a patient. We need your help to find a neurologist and an infusion center that will work with a non-insured patient. We ask that you join us in asking God (if this medication is truly God's will) that He would remove the barriers and provide the way for him to get this. The neurology team is saying that this medication could completely restore his ability to walk and heal his spinal cord. We are grateful for your prayers and kindness. Good morning, prayer-warrior friends! I feel like all I do anymore is ask you for prayer, and we can’t thank you enough for faithfully answering that call! This week, as we traveled to Dallas, as we sat in the Neurology clinic, anxiously awaiting news of LeRoy’s latest MRI, we could literally sense your prayers. Grateful. That’s a small word, but we are sending it out to you with enormous depth. You’ve traveled this journey with us since August, and we’re blown away by your faithfulness to intercede for us. First of all, we have to tell you—God remains faithful. He is at work. When I say we have some “bad” news, really, as a believer, no news is “bad” because we know that all we experience is directed under His sovereign care. We are in His hands—and that is the safest and best of all places, no matter what. Through all of this, we are seeing tangible evidence of Him doing the unexpected to spread His glory. And that’s all that matters. On Wednesday, the neurology team gave us both good news and the “bad” news (their terminology). First, the good news: The aggressive steroid treatment they’ve had LeRoy on for six weeks has significantly reduced the size of his spinal cord lesions. We praise the Lord for that! Dr. “G” took us on a tour of his MRI and even our untrained eyes could see how the lesions have shrunk! They no longer light up the entire length of his thoracic spinal cord, but just a sliver remains. But that leads me to share with you the “bad” news. The bad news: The lesions that remain in the spinal cord are in an area that cause significant pain. The sensory fibers embedded in his muscles in that area are not functioning properly; they are sending nerve signals to the muscles to tighten, when they are already pulled too tightly. Dr. G threw out some big words (that I asked him to spell) as he tried to explain why LeRoy is experiencing such excruciating pain. One of those words was: pro·pri·o·cep·tion (prō’prē-ō-sep’shŭn). (Warning: this part of my post is a bit technical and you may want to skip this next sentence.) Proprioception is a sense or perception, usually at a subconscious level, of the movements and position of the body and especially its limbs, independent of vision; this sense is gained primarily from input from sensory nerve terminals in muscles and tendons (muscle spindles). But, LeRoy has lost this perception. The problem is, LeRoy’s sensory nerves are confused and out of control! This is what’s causing his excruciating pain. His sensory nerves keep sending signals to his muscles to tighten, when actually they don’t need to tighten. His sense of where his foot is, or even his ability to feel his left leg and foot in motion, is gone—preventing him from being able to walk without some crutch-like device and special “sensory” inserts in his shoes. Another piece of bad news is that spinal nerve damage is permanent. The damage he has throughout the nervous system can be repaired, but if the spinal cord is damaged that is permanent. They can’t tell yet if that’s the case with LeRoy’s injury, and the neurologist said he is hopeful the steroids will reduce the remaining lesion, but he can’t tell yet if that area will have permanent damage. So, that is a big prayer request: that the steroid treatment LeRoy is doing this month will remove that last lesion that is causing such pain and he will be able to sleep at night. We return to Dallas the first week in December for another MRI. The plan is to put him on a new immunosuppressant drug at that time (Remicaide) that has to be administered at the hospital through IV. It costs thousands of dollars for every injection, so we are applying for financial aid for that medication. That is another prayer request: that God would give favor with the financial assistance for this medical treatment. The doctor believes this is Neurosarcoidosis rather than NMO (which is one thing specifically we were praying for!). Remember when I asked you to pray for that back in September? Back then I let you know that they haven’t started the immunosuppressant drugs yet because they’re still trying to determine whether this is actually NMO or Neurosarcoidosis. If it is the second disease, the prognosis is much better, but we know that every cell of LeRoy’s body is in the Father’s hands—no matter the diagnosis. The good news (if Dr. G is right and this is Neurosarcoidosis) is that this autoimmune disease often goes into remission after three or four years, if the meds keep it under control during that time. Big prayer request: That the treatment (or the merciful hand of God) will send this disease into complete remission—soon! THAT made me want to jump up and do a happy dance in his office, but I refrained. He doesn’t know me that well, yet. Thank you, thank you, for your prayers. It still looks like a long road ahead, but we left Dallas hopeful that the treatment will bring recovery and eventually pain relief. Thank you for continuing to uphold us in prayer and walk this faith journey with us. This passage has been a recurring one to bring encouragement through this journey. Perhaps you need to be reminded of this today, too? Do not fear, for I am with you; Do not anxiously look about you, for I am your God. I will strengthen you, surely I will help you, Surely I will uphold you with My righteous right hand (Isaiah 41:10). We prayed for a diagnosis and a treatment plan—and God answered. Thank you for praying with us!! Being a planner is my nature. Things go much more smoothly when I’ve got a plan. It’s never fun to start a meal and realize you don’t have half your ingredients because you didn’t plan well. Especially when my children were small, it helped the day run well if I looked ahead and had things prepared for the day. As a young mom, I was forced to become an organized planner. But I’m realizing that this new life we’ve entered means letting go of my planner to some extent. I’m learning to live with an open hand. We don’t know what’s up ahead. I don’t even know if by this afternoon LeRoy will feel well enough for us to take a ride in the car. (Most days he doesn’t feel well enough to navigate from the recliner to the dinner table.) I don’t know what will be happening this time next month, next year . . . especially five years down the road. And in the past, I was one who looked ahead to make long-range goals and decisions based on what I expected the future might hold. That way of operating is gone now. I’m letting people know, I’m sorry I can’t make many commitments right now. I’m not planning ahead, we are taking things not just day by day—but really hour by hour—or more accurately moment-by-moment. People ask if they can drop by for a visit, and I’m grateful for each person that cares enough to reach out to us, but when they ask that, I reach for grace and know that it’s hard for them to comprehend what we’re dealing with. We’d be able to enjoy visitors, and perhaps bless them as well, if things were “normal” but things are definitely not normal. Most people don’t realize that our days are filled with navigating LeRoy’s pain, from working on preparing lots of high-packed nutritious meals (which takes time and lots of grocery shopping), managing phone calls with pharmacists, medical appointments, the hospital business office, being put on hold—for an extremely long time, while running back and forth to retrieve an ice pack, applying the TENS unit, cleaning up from many unintended accidents, taking care of basics like never-ending laundry, plus just the responsibilities of “normal life” and there is literally no “free time.” So, for now at least, we’ve had to relinquish planning normal things like “visits” with friends. There are only two things that I’m focusing on right now: caring for LeRoy and meeting early each morning with Jesus. I’ve got to have that. Time in the Word and early morning prayer is the fuel that provides what I need for the day. That is a commitment that I have to keep in order to survive right now. Early morning meetings at the feet of Jesus is the only non-negotiable on my planner right now. Remember that instruction from Scripture? Lord willing, we will be getting another MRI of LeRoy’s spinal cord tomorrow. Will you pray again? Will you ask the Lord to bring clarity and give the doctor’s information needed to begin treatment that will lead to recovery? Will you pray for us to walk in the grace God is providing, that He might be glorified? Pray that, as we hold all things loosely, as I lay down my planner, we will do so with grateful hearts—knowing that God does all things well.